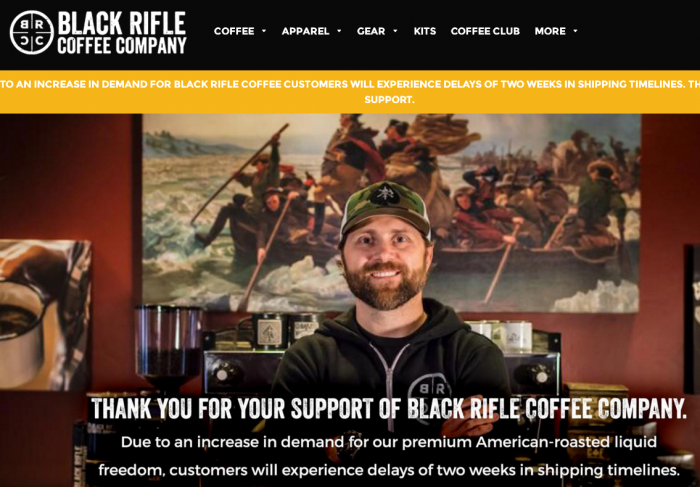 Founded in 2014 by CEO and former Green Beret Evan Hafer, BRCC was built upon the mission to provide a high-quality, roast-to-order, coffee to the pro-2A and veteran communities. Between deployments to Iraq and Afghanistan, Hafer worked to refine both his coffee roasting and firearms skills. He spent over a decade researching coffee, refining roast profiles and of course drinking while he roasted. BRCC stands for more than just a coffee company. It's a veteran-owned business operated by principled men who have served our country honorably and stand together to protect the business integrity, conservative values, the veteran community, and our families. They are the proud individuals who raise their right hand to support and defend the Constitution, who set aside aggressive social progressiveness to be what's important, kind, loyal, and protecting what they love: AMERICA. Just as committed to supporting the 15 thriving businesses beneath their umbrella as they are to the act of war, their brotherhood is stronger than commerce.